Is Crystal Palace your local football club? Are you a lifelong Palace supporter?Do you consider yourself to be an expert on the history of the Glaziers? 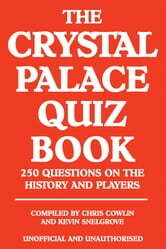 If so, why not put your knowledge to the test with this exciting new quiz book all about Crystal Palace FC?The 250 questions have been carefully put together to cover all aspects of the club, with sections on legendary players, top goalscorers, memorable managers, nationalities and playing positions, awards and accolades, club records and much more. 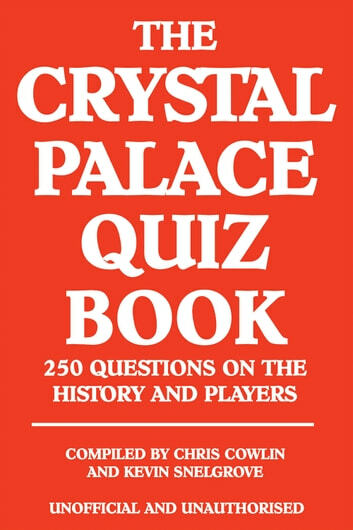 If you think you know all about Palace, then this quiz book will certainly put you through your paces.Packed full of fascinating facts, The Crystal Palace Quiz Book is a fun and easy way to learn more about the club’s history and is perfect for football fans of all ages. This clever guide is certain to score a hit with all Palace supporters so why not take it along on match day and find out who really knows the most about your favourite football club.